This week the College Board (the SAT people) released their annual survey of college tuition and found what they always find. College got more expensive last year. This time ’round public colleges went up 6.5% and private ones 4.4%, both of which are pretty steep increases when compared to the 2.1% decline in the CPI over the same period. This was a particularly bad year for the tuition vs. inflation comparison, but the overall trend is striking. According to the College Board, over the past thirty years the average tuition cost has tripled in real inflation-adjusted terms. It’s hard to think of anything else we buy that has gone up as much. It would be like paying $12 a gallon at the pump. 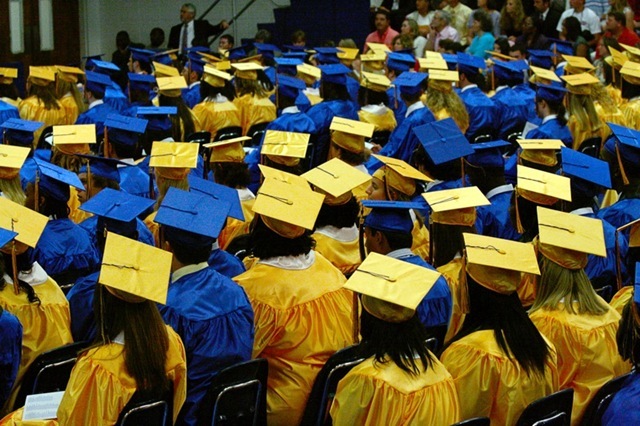 Does it now cost so much more to "produce" a college education than it did a few decades ago? Not likely. In fact, although virtually all colleges are stridently not-for-profit, it is pretty clear that the profit margins on a college education are big and getting bigger. I have a hard time believing that the cost of heating the dorm rooms, proctoring exams, and so on has grown much faster than inflation. If college were a business, we would say that the price increases have gone straight to the bottom line. Generally, the brakes on any supplier raising prices are a) competitors may charge less to take your business away b) buyers may decide that they’d prefer to buy something else with the money and/or c) buyers just may not have the money even if they still want to buy what you are selling. Colleges and universities are remarkably unconstrained by any of these. That a rival college will lower prices (or fail to raise them) in order to steal customers is not a serious threat. Firstly, colleges just don’t see themselves as being in serious competition with each other in this sense and rather unabashedly conspire to fix prices. Moreover, incentives to grab more market share are small. Lowering prices to increase volume is not usually a short-term option, as increasing student population involves building more dorms and classrooms, and that would take years. A college could lower prices to get a smarter or more talented student body, which is nice, but lowering prices without increasing units sold means a drop in revenue. But the big reason colleges can continually ratchet up prices is that there is virtually no push-back from consumers. They may consider a cheaper vendor, but they are going to buy. Why? Because even at these high-by-historical-standards prices, college is still very much worth it. According to a 2006 study from the Census, the difference in annual income between a college grad and non-college grad was about $23,000. What should a person be willing to pay for that? Well, assuming a 5% discount rate, I get a present value for 40 annual $23,000 payments of around $395,000. In contrast the average four year tuition at a private college, $105,000, doesn’t seem so pricey. Of course, there are people who don’t have $105K lying around. Not to worry, there’s plenty of financing available, most of it government subsidized and of the "no income, no assets, no problem" variety. And if that’s not enough, discounts are available. The College Board is very careful to refer to what they are measuring as "published tuition", i.e. as opposed to what is actually charged. In other words, these are asking prices. Turns out, only about one third of students pay list. Of course, getting a discount on tuition is not like getting a new car for less than sticker. Colleges expect to start the discussion with a full and complete disclosure of exactly how much money you have so they can decide how much you are good for. Imagine going into a car dealership with a stack of tax returns and bank statements so the salesman can work out how much you can afford to pay for that new minivan. A college degree is the dream product for any businessman. It costs little to produce, people desperately want it, and you can actually charge different customers different amounts for the same thing depending on how much money they have. Except that all this developed mostly by accident, I might be willing to retract some of my statements about how muddle headed professors are when it comes to business. In fact, it’s wonder that the business world hasn’t tried to adopt the same model or get into the college biz in a big way. Google College anyone? I usually don’t take issue with your comments, but this one bothers me. While I cannot comment on the influences as far back as thirty years, I think much of the expense that isn’t factored into the cost of operations for the past twenty years has to be the introduction and constant upgrading required to be current in computing technology. Twenty years ago there just weren’t dorms and classrooms that were wired for technology, and as anyone who has done retrofits will tell you – it is more expensive to introduce an all new type of wiring and more electrical capacity than it is to build it when building new. Add to that the constant advances in computing software and the releases that students need for what they will be expected to use in their careers and it all adds up. This was an all new category of expenditure twenty years ago and in many ways there seems know end to the expenses required to keeping current. I think Frank is absolutely right. College is very much worth it at today’s prices. Universities are setup in a way to have guaranteed customer base fighting for a seat and willing to pay tons of money for what most consider a necessary item. Roy, Computer technology would not account for such massive cost increases. Computers have been in universities for years and they’ve just gotten cheaper over time. Our college had full computer labs 20 years ago so they were already paying for it then. Over the years computers have just gotten cheaper to buy. Wiring the dorms was probably paid for once years ago and is not an expense for the entire university to bear. There are two other reasons why colleges rates keep going up so fast. Access to cheap student loans provided by the government and the fact that when people complain about the high price of college they don’t blame the college they blame the lack of government loans and grants. Colleges really are in the perfect position in that they can raise prices and the blame goes to the government. For public universities, there are essentially four pools of money that pay for educational costs. They are: (1) state subsidies, (2) endowment, (3) gifts, and (4) tuition. Since the first three income sources have really gotten hammered, universities naturally look to raising tuition to make budgets balance. And of course, the real tuition (nominal tuition minus school sponsored financial aid) is a very different, and much lower, number than the nominal tuition. It would be very interesting to see the actual increases in the cost of providing higher education — ie, faculty, support staff, infrastructure, overhead, etc. — and compare this to the increases in the nominal tuition price. How much is of the cost increase is real, and how much is just shifting from one funding mechanism (subsidies) to another? It would also be interesting to see how higher education inflation (both in real costs and nominal tuition) compares to highly skilled service sector industries. What have the cost increases been in health care, financial services, legal services? Finally, there has also been a change in the mix of higher education providers. Community colleges and two-year schools are a much bigger part of the mix than they were a few decades ago. They tend to be much cheaper than 4 year schools, and I strongly suspect that their tuition numbers aren’t included in the College Board numbers. College is still very much worth it, but I’d argue not ALL colleges are worth their prices. There are private universities out there (Ivy League, Vandy, Stanford, and the lot) that are well worth the price of admission. But there are lots of smaller, more regional private schools that are just flat out expensive and a waste of money. I have a few in mind, but I’m not going to mention them since I don’t want to insult anyone. But who would spend $50k a year to go to private school when there are public schools that are likely better for much less money? If you have the money or scholarships to go to a second rate private school and can graduate with no debt then by all means go there and enjoy the experience. But if you have to take out a good portion of loans to pay for this school you’d better be prepared to enter a profession that pays well. It’s hard to pay back $200k in debt on a teacher’s salary. Hell, it’s hard to pay that back on a doctor’s salary. Regarding the alternatives… many state colleges will accept credits from community colleges… which is at a huge discount. Also, the College Board — same folks who administer the SAT — offer tests that you can take to get college credit for science, math, history, and business. You then transfer these credits to a public college, and graduate faster. You can literally do 2 years of college in 6 months for $2,000. Decent alternatives exist to expensive college courses… and I only anticipate more to crop up as greedy colleges ratchet up rates. I’m not sure about the research end of the major universities. Does anyone know what kind of profit or loss there is from research? Consider that a major portion of the facilities and professors’ salaries go toward research. Most of us only see the undergraduate side of a major university, and probably wind up with the short end of the stick. There are small schools focused on the student, but we don’t recognize them. It’s ironic that we basically value our undergraduate degrees based on prestige, which is mostly based on the graduate school and research (and recognition, from sometimes dubious sources like sports). I disagree with those who think small private schools are a waste – studies have shown they are very good at getting kids into grad school and ultimately fostering intelligence and success. They teach better than the name schools, because professors aren’t splitting time with other duties. They’re focused on undergraduates. It might be that the best schools for learning as an undergrad are the small private ones we hardly hear of, while the most career-valuable undergrad degrees are from the recognized schools that don’t teach as well. To have an optimal experience, one would need to know in advance (at age 16-17) what their major and career will be, and whether they’re going to grad school or not. It’s not easy. College tuition is inelastic. Charge em up to the moon so long as people are willing to pay! I know that in my field (math), tenure track professors are expected to provide anywhere between 60% and 90% of their own salaries with grants, usually from the NSA and NSF. I suspect the numbers are similar or higher in any technical field. As far as I can tell, this fact is one of the more important and least understood drivers of college cost dynamics. Thus small private colleges, which focus on teaching over research, tend to do well at teaching, but must charge high tuitions to offset the lack of research grant funding. >Why? Because even at these high-by-historical->standards prices, college is still very much >worth it. >According to a 2006 study from the Census, >the difference in annual income between a >college grad and non-college grad was about >$23,000. But is going to college a cause for this difference or just a correlation? I suspect that you could find a significant difference in annual income using any selection of the best students. #1 Get data from students that didn’t go to college. #2 Use some method to select the most talented of that pool: Grades or choose those that were admitted to a college but didn’t go. #3 Compare salary’s of talented pool vs. rest. #4 Compare the talented non-graduates with the college graduates. One thing that strikes me is that College, as we currently practice it, is very intensive of skilled labor–and skilled labor is about the most expensive thing you can buy. Yes, even considering the indentured ser–er, Graduate Assistants. Lot of advanced degrees hanging out in the faculty lounge, and as much as they like to complain, they really do get pretty good compensation. What is remarkable, though, is that you don’t _have_ to do College that way, and it’s not clear to me that there are real advantages to student learning that derive from having a bored professor lecture them on physics that hasn’t changed in 200 years (with a week or so of physics that’s only 100 years old at the very end). You’ve got film of Richard Feynman teaching basic physics? Then you’re probably good to go. In fact, legions of undergraduate students are being bled dry to support cohorts of alleged “instructors” who add very little measurable value–but higher education is a guild, and is able, for the moment, to enforce certain inefficiencies. I wonder how long it can continue? Thanks Paul. I’m starting to really feel my hypothesis: strong university recognition could almost be an indicator of weak undergraduate teaching. If undergrad is a terminal degree for you, you’d be better off at a name school; but if not, you’d be better off at a quality no-name school. Not a hard rule, but a useful consideration if one knows their ultimate goal. Craig: I agree with your point too. It’s as if nobody considered that the Socratic method needs updating. Has anyone considered how useful the lecture model is for modern subjects like math, accounting, and economics? Some of the “instructors” are now just flipping through PowerPoint slides created by the textbook publishers. I like how we’ve spent billions getting people to retain information through television, but almost none of those techniques are applied in classrooms. We can all recite commercials. In any effort to study, we find ourselves pulled from the textbook to the television by moving pictures, graphics, and sound effects(!) And the schools, of course, do none of that, and pass tips about ‘limiting distractions’ to blame students for the schools’ dead presentation skills.